Het handstatief van mantona is de ideale metgezel bij het filmen of het nemen van foto's met de GoPro Hero of smartphone. Ideaal voor Selfies en filmen van langere afstand. Balhoofd met 1/4 inch cameradraad. Oneindig in hoogte te verstellen. The hand pod from mantona is the ideal companion when filming or taking photos with the GoPro Hero or the smartphone. The sturdy aluminium pod can be infinitely extended and is quickly and simply locked. With its low weight it is perfect for Selfies and with the bigger diameters of the pod extensions it is also suitable for optimal stabilisation of video shootings. 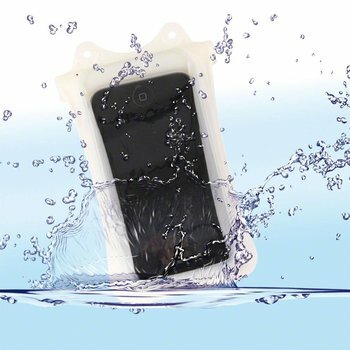 The pod comes with a rubber coated smartphone adapter, which provides optimal hold for your mobile phone and prevents it from slipping out. With the pod head you can quickly and simply vary both the alignment and the perspective. The GoPro adapter with ? inch adapter can also be easily adapter and connected to the camera. 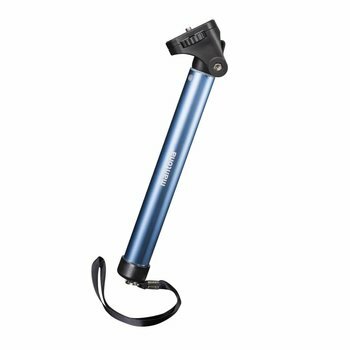 The camera strap additional protects your equipment during use Easy table & camera tripod, 38 cm The table and camera tripod with its maximum extension height of 38 cm is a particularly compact tripod for variable use of compact cameras in many situations. With its weight of only approx. 300 g and a transport length if only approx. 22 cm it can be easily taken anywhere, without giving you any additional stress. A bag for storage and transport is included. The minimum height of approx. 35.5 cm and a maximum extension height of approx. 38 cm make it an ideal table tripod. Since the legs of the tripod are simply folded up, it can be folded to a especially compact unit. Due to its small dimensions it fits into small bags and backpacks. A simple twist locks the legs. 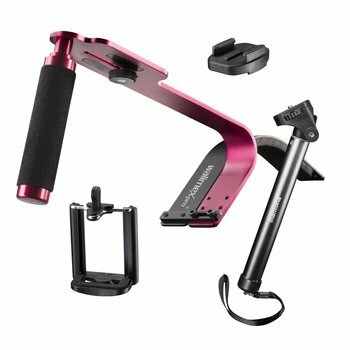 The height of the tripod is infinitely adjustable and is also easily and quickly locked with just a simple twist. The tripod is set up and put together again in just a few seconds.Mini-tripod 10cm. The mini-tripod with its height of 10cm is a particularly compact tripod for variable use of compact cameras in many situations. With its weight of only 100 g it can be transported in any bag without problems and without putting any additional strain on you. The pod can, on the one hand, be used as a table pod, and on the other hand the pod head can be tilted by 90 degrees, so that, in combination with a ball head, it can be used as a swivel handle - ideal for video shootings. It comes with a 1/4 inch thread in the bottom side for mounting on a ball head. The tripod is set up and put together again in just a few seconds. The tripod is made of strong plastic material. The camera mount is rubber coated to prevent accidental slipping of the camera and comes with a 1/4 inch camera thread. The maximum load bearing capacity of the tripod is approx. 0.5 kg.